In delivering the news, speed is always a sworn enemy of accuracy. 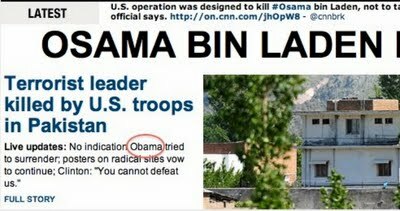 When news of the death of Osama Bin Laden blew hard, of course, the media vying to inform as soon as possible.damn, this time leaders in the news have similar names-similar. Obama and Osama. The one figure who ordered the assassination mission, which is one more character who was ordered to be killed.Of course one and slip the name will make the news it became confusing and ridiculous.In fact, write errors and spelling mistakes that name experienced by local and international media. Mashable site could immortalize it funny mistakes. 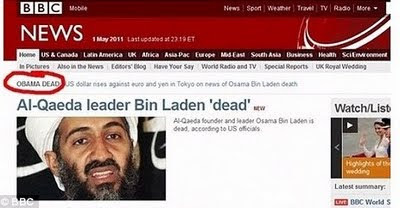 **In the news ticker on their site, the BBC reported that Obama had been killed. 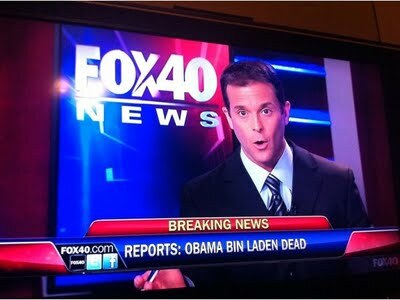 Yet beneath the big news was clearly view an image of Osama Bin Laden. 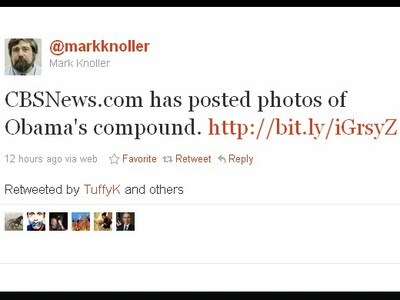 **On its Web site, CNN.com had announced the news updates that "There is no indication Obama is trying to give up,..."
**MSNBC chief Washington correspondent, Norah O 'Donnel, also accidentally saying that Obama passed through her tweet. **Meanwhile, CBS News White House correspondent Mark Knoller, twice made ​​a mistake in his tweet. 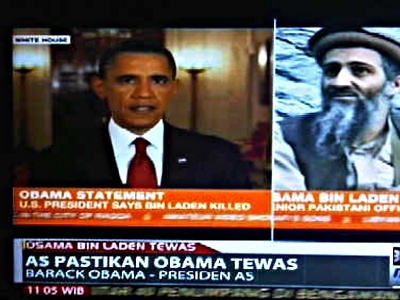 **In the event, Fox 40 News, penjelasnya writing is clearly wrong: "Obama Bin Laden is Dead." **Error that was happening in one local TV station.